Recharge your batteries and rekindle your excitement about teaching! 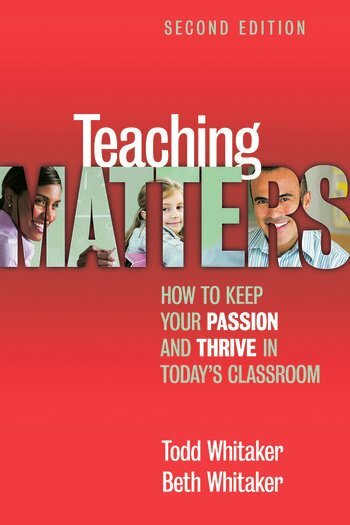 This new, updated edition of the best-selling book, Teaching Matters: Motivating and Inspiring Yourself, offers practical advice on working with colleagues for inspiration, using social media to connect to other professionals, and adding fresh new appeal to your lessons. The practical ideas and inspirational examples in this book will help you keep your passion for education alive and thriving in your classroom. Get use-now tips on everything from creating a positive atmosphere in the classroom to dealing with difficult peers. This is truly a must-have motivational resource for all educators!